In a separate permanent bullet journal: One option is to keep these types of records in a permanent bullet journal designated just for these. This won’t be your day to day bullet journal; it will only be for long-term records and reference. In a booklet in the back of your bullet journal: If you want to keep your permanent records and lists in your day to day bullet journal, you can write them in a booklet that slots into the back pocket of your bullet journal notebook. When you fill up your bullet journal and move on to your new one, just take the booklet out and put it in your new notebook. A perfect option for the booklet is the slim pocket size Rhodia side-stapled notebook. 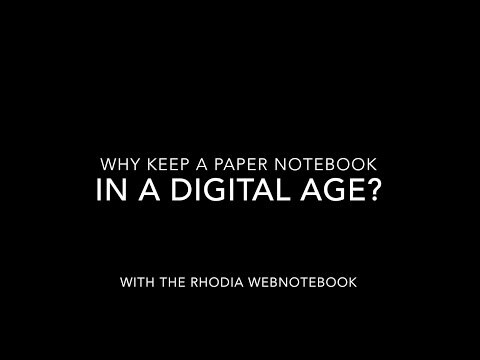 The Rhodia Goalbook, Rhodiarama notebooks with soft or hard covers, and the Webnotebooks are all excellent bullet journal notebook options (with 90 gsm ink-friendly paper) and all have a pocket in the back of the notebook where you can keep the booklet.